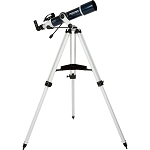 What can you see through this 120mm Celestron refractor? 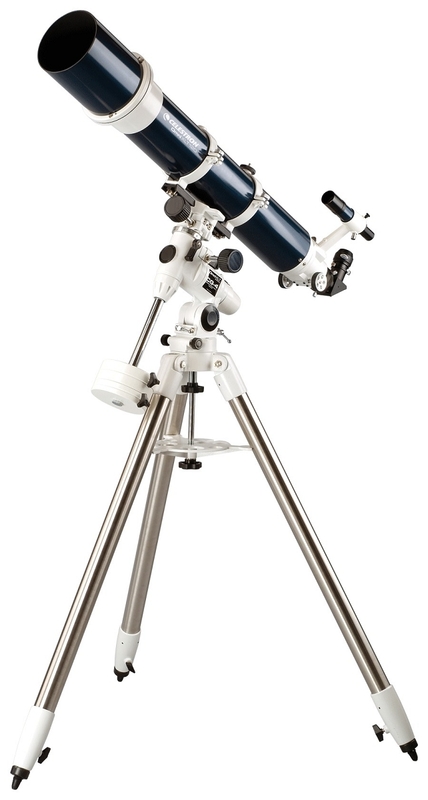 With a relatively short 1000mm focal length and a light grasp 294 times that of the sharpest dark-adapted eye, the scope is capable of producing surprisingly bright wide-field images of the faint fuzzies outside the solar system – nebulas, galaxies, open star clusters, and more. But those objects requiring high power and high contrast – globular clusters, close binary star pairs, lunar and planetary images, etc. – are where this achromatic scope shines. Using optional eyepieces and/or a Barlow to boost the magnification, you can see subtle solar system details that are virtually invisible in smaller aperture scopes. You can study lunar craters, rilles, mountain ranges, and low contrast lunar ray detail. With reasonable seeing conditions, detail in Jupiter’s cloud belts and the Great Red Spot (actually closer in color to the Faint Pink Spot at this point in time) are visible, as are dusky markings on the face of Saturn and Cassini’s division in Saturn’s brilliant rings. Chromatic aberration (a faint halo of spurious violet light around very bright objects, such as the planets) is present, as it is in all achromatic refractor telescopes, but is generally unobjectionable and is not a problem on the faint objects outside the solar system. Using the lens cap/aperture stop mentioned above will reduce its visibility. The use of an optional aberration-reducing minus violet filter will also help eliminate the spurious color (which many people find unobjectionable in any case). 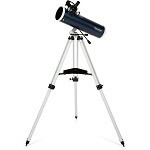 Optically and mechanically refined, and very reasonable in cost for a big 4.7” aperture refractor, this Celestron Omni XLT 120 has enough optical performance to keep you busy for the rest of your life.